BrainFizz - Routing, Making, Custom projects & Training. : The Workshops next best thing? 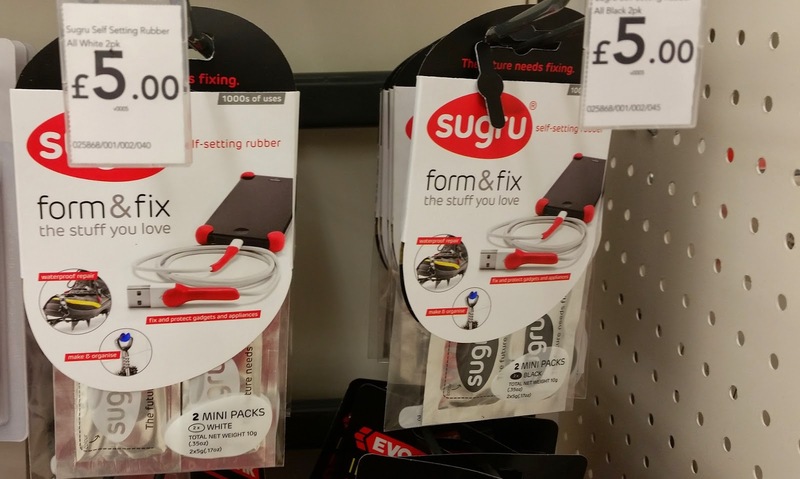 Sugru: What's it all about and how come it's got more uses than Swiss Army Knife on steroids? It might look like a piece of used chewing gum hiding under a school desk, but don't be fooled! 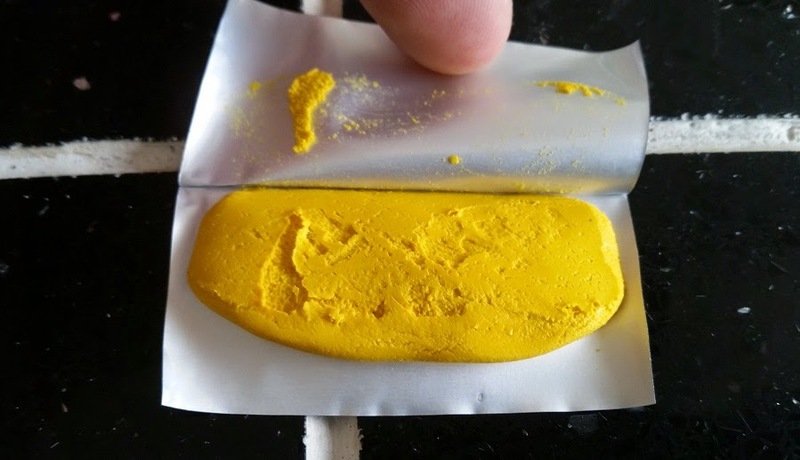 At anything between £1.40 and £2.50 per 5g, it can be expensive, (although for larger projects it can be purchased in 100g packs for around £13), it can seem expensive, and yes in some settings there are no doubt cheaper options, but from the pure possibilities of this stuff, it seems like it's going to be one of those things we find new uses for every time we open a pack. I actually first saw this stuff on the shelves of a high street computer store back in March of this year. the packaging didn't really catch my eye, but i think it was down to the setting. After all I don't usually find anything of interest in a computer store. This store was the most expensive outlet I found it in during my hunt, but you can also buy it direct! 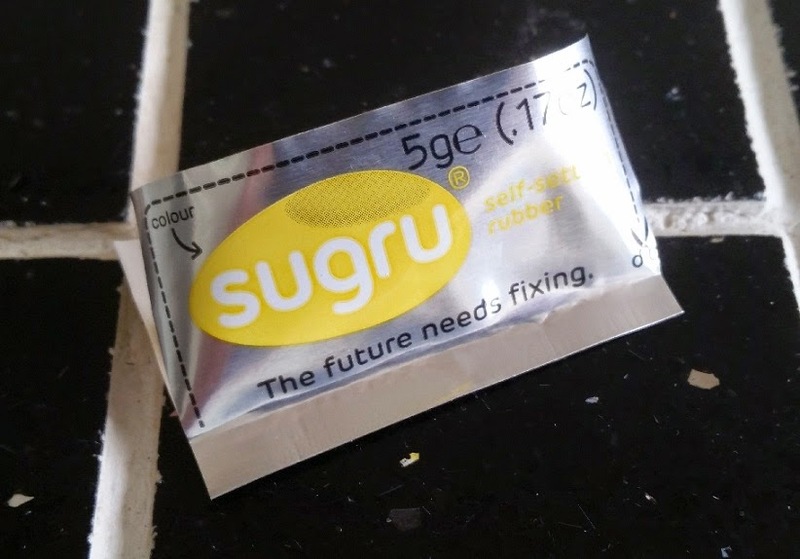 But last week I stumbled on it again on the internet where it had been used in an interesting application that caught my eye - I couldn't tell you what or which one as since then I found so many, from repairing dishwasher trays, to sealing walking boots and Goretex jackets. Even making cool iPod charger cable holders from Lego men! Looking deeper, it's got a temperature rage of -50 ℃ to 180 ℃ It's soft, flexible, waterproof, electrically insulating, dishwasher proof. it is molded by hand, having about a 1/2 Hr working time from opening the pack and air dries. It sticks to nearly anything including both porous and Non-porous materials including fabrics, ceramics, timber, plastic, metals. I haven't been able to get it to conjure a watch and have it whistle me the time yet, but it's early days still. Simply put, open the pack, stick, seal, repair what you want and let it dry over night to form a tough, flexible silicone rubber. Oh, did I mention that you can also remove it again after if required, with next to no residue even on porous substrates? So What have I Been doing with it? Well hang slack for a short while: I'm a big fan of this now, so you'll be seeing lots more of this little fella REALLY SOON! I'd be interested in your thoughts, and experiences with this if you have any, and welcome your comments below. There'll be more on this and other things very shortly, so make sure you subscribe as well!